The Paleo diet is getting more and more popular not only among ordinary people but also among medical professionals who now start recognizing the importance of the proper nutrition. The Paleo diet does not only help you lose weight but it also helps control certain health conditions and improve health overall. If you were recommended to start the Paleo diet or decided yourself to go for it, you might feel overwhelmed by the amount of information that can be found online or even on the bookstore shelves. A lot of books have been written about the paleo diet and its principles. Though with all that variety it is hard to pick the one that will be a one-stop solution and help you get things rolling. Here we picked for you 10 best Paleo diet books currently available on the market. The whole idea of the Paleo diet is to follow the foods that our ancestors used to eat thousands of years ago. exclude all processed and refined foods. As you noticed these principles are general core principles of any healthy diet. The Paleo diet main goal is to provide a healing environment to our gut by eliminating all foods that could possibly cause inflammation in our body. And as we all know the health starts with the guts. Who are the Founders of the Paleo Diet? The Paleo diet refers us to the ancestors who ate whole foods like meat, vegetables, fruits, nuts, and seeds. The Paleo diet started to gain more and more popularity with the support of Dr. Loren Cardain who published his book “The Paleo Diet” in 2002. The book was revised in 2011. Since then the Paleo diet gained a lot of popularity and the shelves in the bookstores were filled in with the Paleo diet books. One of the interesting facts I noticed is that most of the Paleo diet books were written by authors holding medical degrees. And the majority of the authors explains in details the reasons behind this way of eating and its multiple benefits. Which means you do not just follow the instructions and hope for the best, you are actually becoming more educated about your food choices. Another Paleo diet authority authors to be mentioned is Robb Wolf. A lot of Paleo Diet authors would actually quote his work ‘The Paleo Solution: The Original Human Diet” that became a bestseller. 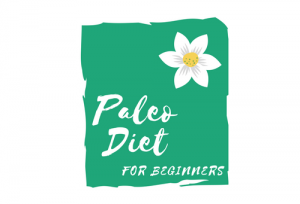 What to look for in Paleo Diet Books? If you are in search of a Paleo diet book, you probably noticed a variety of options. This is one of the most important parts of the book that you would want to be as much explanatory as possible. The more clear the description, the easier is it for you to follow the diet. When it comes to certain food limitations it is easier to follow the diet when you understand why certain foods are excluded from the diet. You also do not want to rub your head around the medical terms that you would have a hard time to understand anyway. So the best is to find a book where you will find the answers on why certain foods are not allowed on the Paleo diet explained in simple terms. The majority of the Paleo diet authors offer the meal plan as a sample in their books. The meal plan will provide you with the idea of how your meals should look like. This is a huge bonus that some authors offer in their books. So really you would get not only the idea of how your plate would look like but also some recipes to get you started. The Paleo diet is getting more and more popular and so does the books devoted to it. 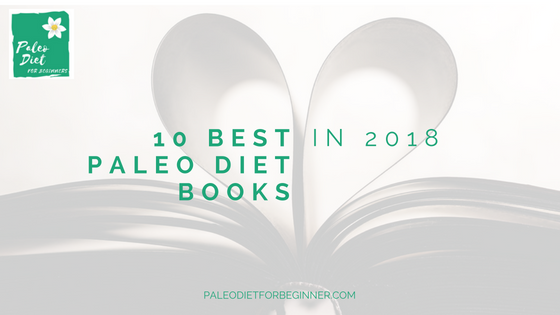 Here we carefully picked for you 10 best Paleo Diet books that meet most of the criteria outlined above. Dr. Loren Cordain is basically the founder of the modern Paleo diet. This book was originally published in 2002 and revised in 2011. It is a well-written book that will not overload you with special medical terms and definitions. The main accent of this book is weight loss and treatment of metabolic syndrome. It offers meal plan and recipes to the meal plan. The recipes are easy to follow and do not contain a massive amount of ingredients. Overall if you are looking for true principles of the Paleo diet, this book will definitely cover it all. We wish though that the author devoted a little more pages in the book to describe all the health benefits that the Paleo diet could offer. This is our favorite book for a couple of reasons. Diane does not only describe in details the Paleo diet principles, but she also provides with a great explanation on why certain foods should be excluded from the diet. She also explains how our bodies work and certain inflammatory conditions that a lot of people can cure by following the Paleo diet principles. She offers several meal plans! She also offers an amazing variety of recipes that we personally tried and loved them all! This is an amazing book that will get you started and will answer all your questions related to the proper nutrition and health. Robb Wolf is a legend of the Paleo diet. He was and is an inspiration to a lot of Paleo diet authors including Diane Sanfilippo. Robb Wolf is a research biochemist who traded his profession for the opportunity to help and educate people about their nutrition. The book itself is very easy to read and contains an amazing sense of humor. Robb provides with an easy explanation of the Paleo diet principles. Similar to Diane Sanfilippo’s book he explains how certain foods affect our body and what health issues improper nutrition may cause. He also offers a 30-day meal plan with the recipes to it. If you are looking for an inspirational Paleo diet author, this book will not leave you disappointed. This is another fantastic and unique in its way book. The main idea of this book is to help you get started by providing with all necessary tools. The book itself contains a short description of the paleo diet principles. However, it is filled with amazing recipes that you have to try. What is also unique about this book is that Sarah actually covers the transition of your whole family to the Paleo diet. And believe me that might be a challenge. She also offers amazing kids-friendly recipes and will share with you some tips on how to make the transition for kids easier and enjoyable. If you are looking for meal ideas and workouts for your whole family this is the book you must have in your library. Chris Kresser is a licensed clinician who helps thousands of people to reach their health goals and get off the prescribed medicine. Step 1. Reset – a 30 -day meal plan based on the Paleo diet principles that will help your body to heal and reset. Step 2. Rebuild – a period where vegetables such as tomatoes, potatoes, peppers, and nightshade vegetables will be reintroduced. Step 3. Revive – a step where you will be building your own customized meal plan to find your own balanced diet. The author also covers the impact of macronutrients such as protein, fats, and carbohydrates on your body. The book offers a 7-day meal plan with recipes to it. It is a great book where you will find a unique approach to improve your health based on the Paleo diet principles. This book is a great book targeted to people suffering from the autoimmune diseases. It is a fantastic book that will accompany your journey to the healthier and better lifestyle if you are diagnosed with an autoimmune disease. It has all you need to know about how the Paleo diet will help you in your journey. The book will provide you with valuable information about the causes of autoimmune diseases and what could be done to fix it on the nutritional level. It also provides you with certain recommendations on how to be in control of the autoimmune condition. Unfortunately, this book does not offer any meal plan or recipes. This is a quick start small book, that will help you get the things rolling. It is very well-written and easy to read. It provides you with all necessary information regarding the Paleo diet principles. It also offers some advice regarding grocery shopping and your kitchen accessories. The book also explains what to expect once you start your Paleo diet journey. So if you do not have time to read a big book devoted to the problem, this quick start Paleo diet book has all you need to get you started immediately. It does not offer any meal plan or recipes. This is another great book written by Dr. Sarah Ballantine. It is an amazing book that provides you with a lot of valuable scientific information behind the Paleo diet principles. It explains in great detail each principle and how it will benefit you and your body. It also covers one of the important things that is getting overlooked by a lot of authors such as the paleo lifestyle. The Paleo lifestyle includes not only food we eat but also the quality of our sleep, the ability to manage stress, exercises and our social activity. The book also offers a 30-day challenge. This is an amazing book to have, simply because it offers 200+ recipes! The book has a lot of valuable information and truly can be a one-stop solution if you just starting the Paleo diet. This is a wonderful book written by the personal trainer Jason Seib. The book is written in a very engaging and explanatory tone that will make you see the Paleo diet from a different perspective. It explains in great details on how the Paleo diet may physically change your body. The author also offers a 21-day meal plan with recipes to it. It is a great book to have if you are looking to lose weight and want to reach the best results combining the Paleo diet principles with workouts. This is an amazing book written by an author who actually suffered from rheumatoid arthritis. As per author she was able to decrease the symptoms and be happy with her current physical condition. It is a great motivational book, which offers a lot of wonderful tips for people with autoimmune diseases. It offers a supportive and encouraging environment to keep you motivated for a change. It contains a lot of great tips on how to eat out, travel or being on holidays while you are on the Paleo diet. Books Reviews, Product Reviews A Simple Guide to the Paleo Autoimmune Protocol by Eileen Laird, best paleo diet book, best paleo diet books, Everyday Paleo by Sarah Fragoso, Going Paleo by Amelia Simons, paleo diet books, Paleo Principles by Sarah Ballantine, Practical Paleo by Diane Sanfilippo, The Paleo Approach by Sarah Ballantine, The Paleo Coach by Jason Seib, The Paleo Cure by Chris Kresser, The Paleo diet by Loren Cordain, The Paleo Solution: The Original Human Diet by Robb Wolf. permalink. Mediterranean Diet Vs Paleo Diet – Which Diet Is Better? I’ve been a fan of paleo for many years now and it does leave you with more energy. I’ve tried some of the books recommended on here but haven’t looked at the Jason Seib book. Thanks for the tips Anna! I am happy that you were able to reach your health goals by following the Paleo diet! The Paleo Coach by Jason Seib is a fantastic book. It offers a different perspective on the Paleo diet from the point of view of a personal trainer. It also has awesome workouts recommendations that will compliment your current Paleo diet lifestyle. Being a mum of three young kids I thought Paleo would be too complicated, but maybe I can give it a try???? The Paleo diet is very family oriented diet offering a healthy lifestyle to each member of your family. We are a busy household with 3 kids as well and even though it took some affords for us to adjust to the diet, now all of us feel great and got used to the adjustments. Everyday Paleo by Sarah Fragoso book actually offers a great recommendation on the whole family transition to the Paleo diet. She also included amazing kids-friendly recipes and workouts for your whole family! Great post! Wow there really are so many Paleo diet books out there now. I had no idea! I know a guy named Pete Evans here in Australia has his own show and has about 4 Paleo cook books out there. I actually heard about Pete Evans and have one of his cookbooks. He offers great recipes that’s for sure! The purpose of this review was to find the best Paleo books that will provide all the necessary information to get you started. We were looking for the books who would explain in great details the Paleo diet principles, will offer a meal plan sample and recipes. We were also surprised to find such a variety of great books!